The foundation stone was laid by Mrs Fletcher on 20 March and the opening day and bazaar were planned for late September 1899. Mr Fletcher stated that he had a letter from the factor suggesting that the Trustees be the Proprietors and Factor with two to be appointed by the committee. The first Trustees were the proprietors (James, Henry & Richard Burra), Percy Hargreaves the shooting tenant, with Alexander Fletcher of Mains of Glenbuchat, James Forbes of Tombreck, William Fraser of Belnaboth, James Farquharson of Upperton, William Gauld of Auchavaich , the Rev. William Spark of the Established Church Manse, and John Stewart from Mill of Glenbuchat. The photo of 'Alexander Fletcher' couldn't possibly be of him. Photography, i.e. that which lasted and didn't disintegrate almost immediately, wasn't around until mid 1800s. It is more likely that of James Fletcher, who died 1856, or one of James's sons. John Fletcher b 1809, who married Mary Meston did not live until 1893 in Braidwood. That is a totally different Fletcher. 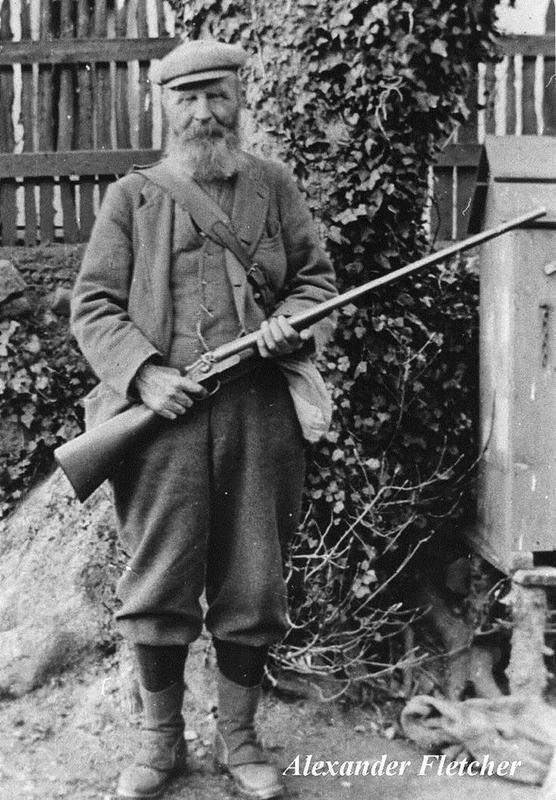 Our John died as a gamekeeper in Scotland from an accident before 1851. Mary is then regarded as a widow, not a deserted wife. John Fletcher b 1837 to that John Fletcher and Mary (Meston) bears an uncanny resemblance to the man in the photo. Incidentally, eldest son of John Fletcher and Mary Meston, Archibald Meston Fletcher b 1835, died in Sydney, Australia in 1923. He is my direct family line. The aforesaid John Fletcher b 1837, died in Glen Innes, NSW Australia 1924.